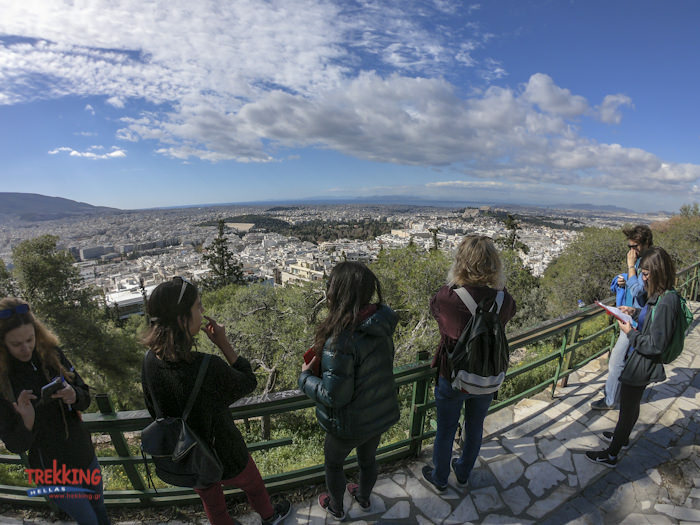 Admire superb views of Athens, while listening to a multitude of stories about its history! 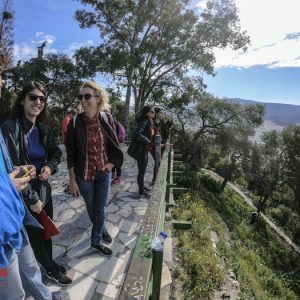 Hiking the ancient hills of Athens is the only tour in Athens designed by Trekking Hellas for people who like to combine hiking, walking, talking, learning, and at the same time exploring a new city. 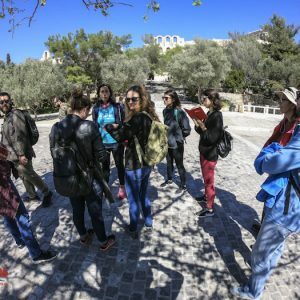 In 3-4 hours of easy walking/hiking, you will view most of the important sites of classical, roman and modern Athens while using pedestrian and walking paths. 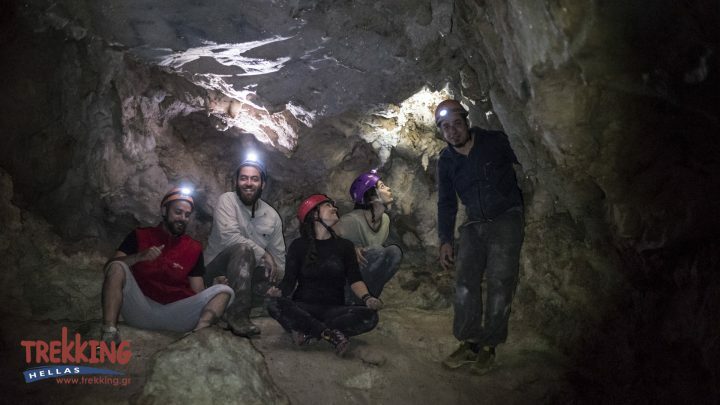 Need to have: appetite for walking, and imagination, your own personal water bottle. 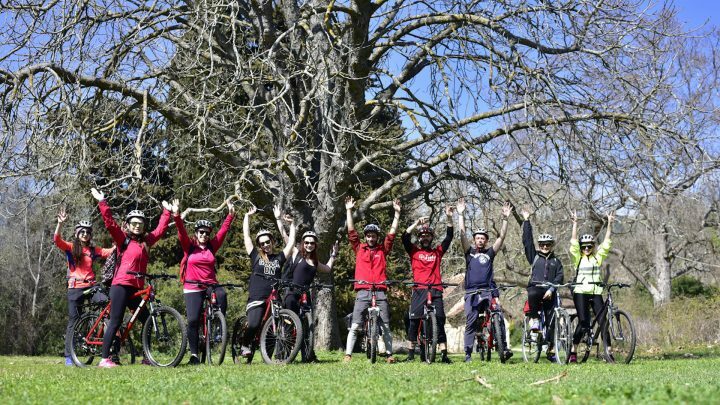 As part of our environmental policy and actions, we are committed to eliminating the use of plastic water bottles. 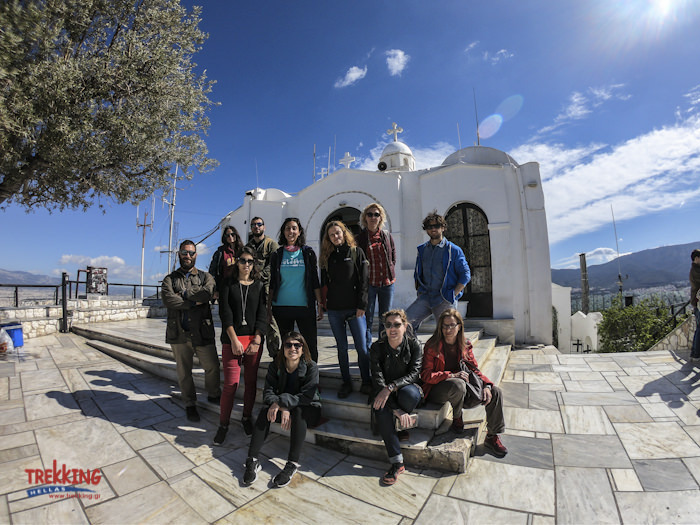 At 09.00 am you will meet your Trekking Hellas guide at the entrance of Evangelismos Metro Station. 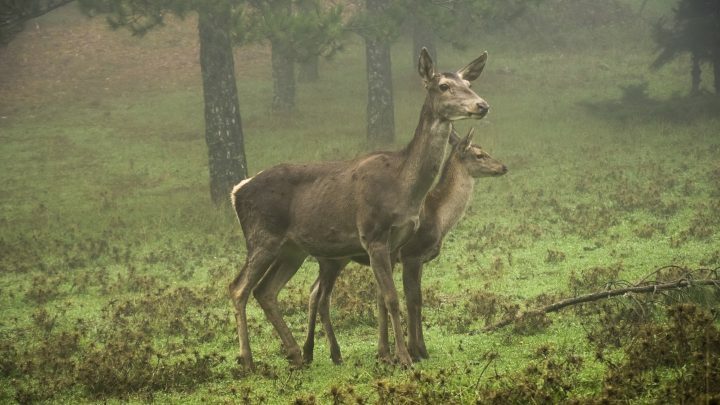 Your guide holding a Trekking Hellas sign will be waiting for you there. 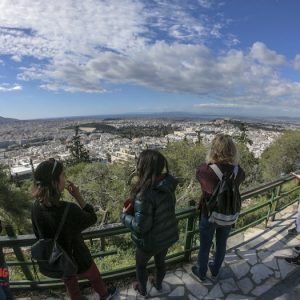 Starting from a climb up to Lykavittos a Cretaceous limestone hill in Athens enjoy the stunning view of Athens city sprawled in front of you in all directions! 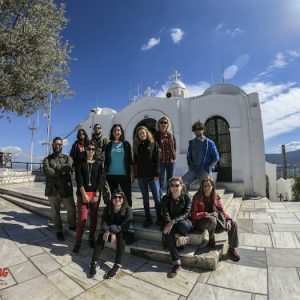 We then pass through the famous and trendy Kolonaki square where local Athenians enjoy their coffee and drinks. 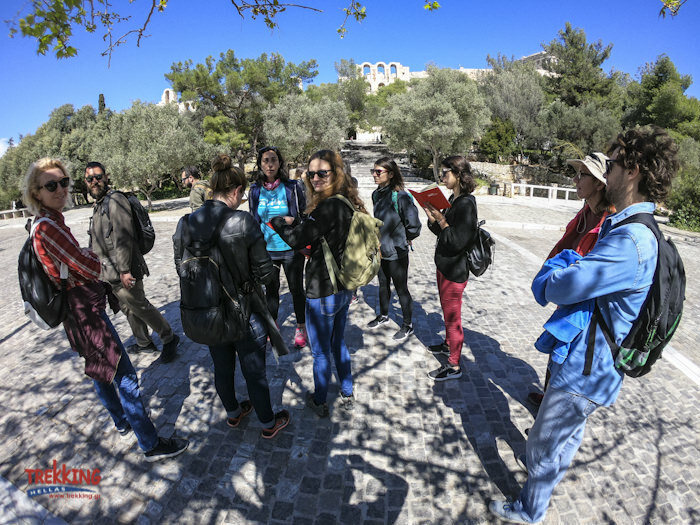 To get to our next hill we will pass through the towns most important sites such as the Presidential Mansion, the National Gardens, the temple of Zeus, Hadrian’s arch, the Odeon of Herodus Atticus and the Acropolis museum. 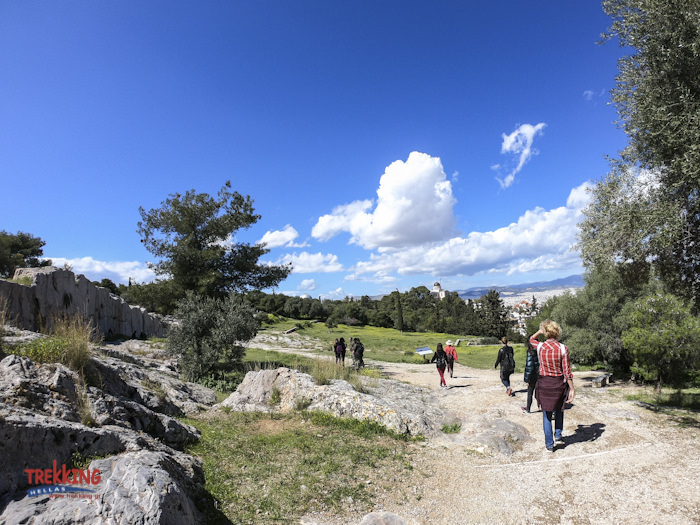 Below the entrance of the Acropolis, walk towards the hill of the Areopagus. 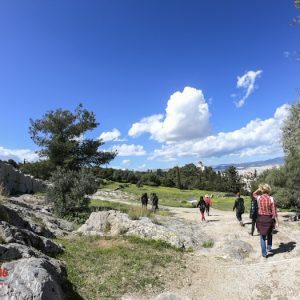 This is also known as the “Hill of Mars” that was the site of the Council of Nobles and the Judicial Court under the aristocratic rule of ancient Athens, we will have the chance to see the prison of Socrates before we continue to Filopappou Hill, also known as the Hill of the Muses, from where the shell that destroyed the roof of the Parthenon was fired. 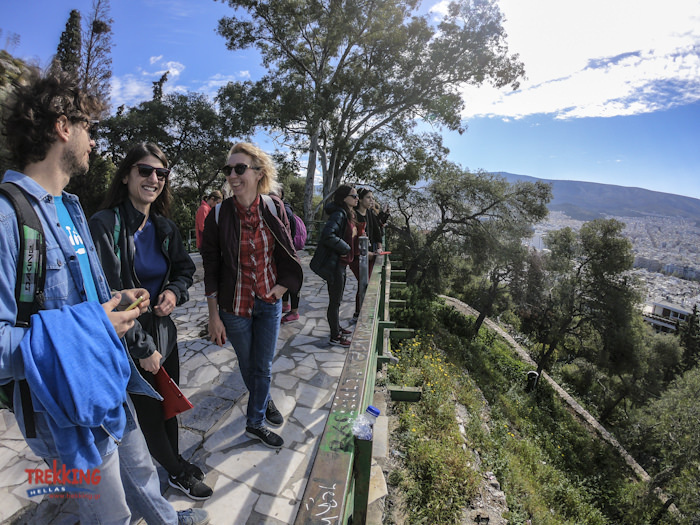 Our exploration continues to the nineteenth- century Observatory, the Hill of Pnyx, an area used in Classical Athens as the meeting place for the democratic assembly and the 103 meters high Hill of the Nymphs, the site of a shrine dedicated to the nymphs in ancient times.